Tuesday 22 May: Clean Air Strategy launch, third party puppy sales, Action Oak wins gold at RHS Chelsea and the rise in UK organic farming. 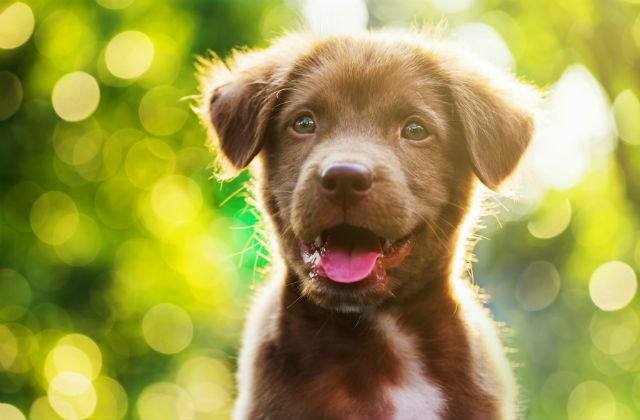 In today's blog we look at the launch of the new Clean Air Strategy, third party puppy sales, Action Oak wins gold at RHS Chelsea and the rise in UK organic farming. This morning the Environment Secretary has launched the government’s new Clean Air Strategy. Air pollution is the fourth biggest threat to public health after cancer, obesity and heart disease and the new strategy sets out how we will go further and faster than the EU in reducing human exposure to particulate matter pollution. We will tackle the pollution caused by farming, domestic burning and other sources such as cleaning products and we will introduce new primary legislation to give new powers to local authorities to improve the quality of the air we breathe. There was extensive coverage of the story this morning, on the front page of the Daily Mail and in the Guardian, the I, the Sun and the Independent. The Daily Telegraph and Times suggest the government will ban wood burning stoves. This is not the case but we are consulting on phasing out the most polluting fuels and ensuring only the cleanest stoves will be available for sale under the Ecodesign regulations. The announcement of the new strategy was also covered in broadcast news this morning on BBC Breakfast, Good Morning Britain and The Victoria Derbyshire show with an interview with the Environment Secretary on BBC Today Programme. 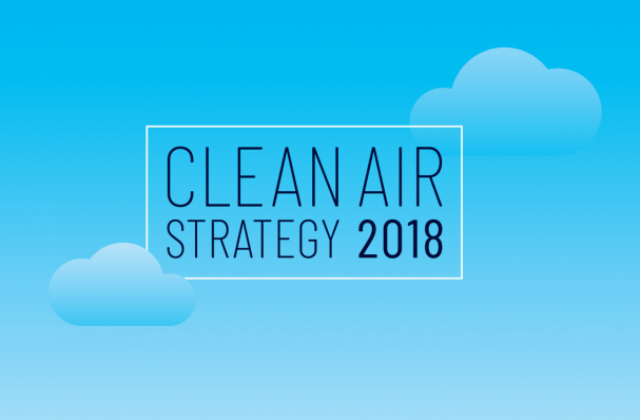 Air quality has improved significantly since 2010 but sixty years on from the historic Clean Air Act a clear truth remains - air pollution is making people ill, shortening lives and damaging our economy and environment. This is why today we are launching this clean air strategy, backed up with new primary legislation. It sets out the comprehensive action required across all parts of Government to improve air quality. The strategy is now out for consultation for a period of 12 weeks. There was a Westminster Hall debate yesterday on the Lucy’s Law campaign which calls for a ban on third party puppy sales. The debate was covered by The Mirror and BBC News Online. Minister Eustice responded to the debate by highlighting the Defra call for evidence on banning third party puppy sales which closed on 2 May. More information on this is available here. The Government will be setting out next steps shortly. 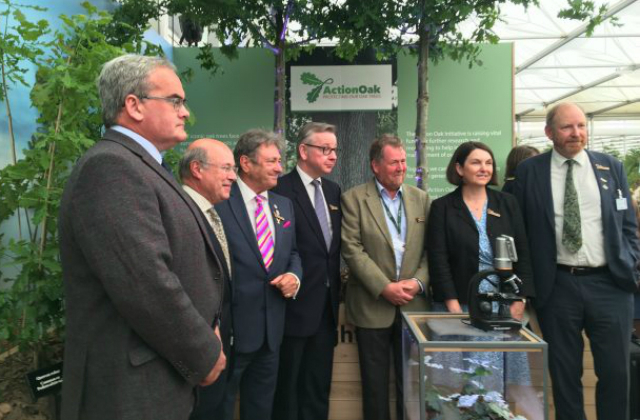 The Action Oak stand, which highlights the threats to the UK’s oaks and the new partnership formed to protect them, has won a Discovery gold medal at the RHS Chelsea Flower Show. The gold medal is the highest award offered at the world famous horticulture event. The stand was designed and built by the staff at the Animal and Plant Health Agency (APHA) and its display takes visitors on a journey through the life of an oak tree, from acorn to mighty oak. People have the opportunity to see examples of pests and diseases up close - and there is even a piece of oak from HMS Victory, the world’s most famous warship! The Action Oak Partnership includes The Woodland Trust, Woodland Heritage, National Trust, The Duchy of Cornwall, Forest Research, Royal Botanical Gardens Kew, the Forestry Commission and the Northern Ireland Forest Service, and is supported by Defra, Scottish, Wales and Northern Ireland governments. The exhibition will be displayed throughout the week at the Flower Show in the Discovery Zone, area GPA104. For more information about the Action Oak Partnership visit http://www.actionoak.org/. The size of the UK’s organic farmland in 2017 rose by 1.9% from the previous year to 517,400 hectares, according to latest figures. The recent growth in organic products has led to an increase in UK farmers converting their agricultural holding for organic farming purposes. Organic farming can have a number of benefits to the environment, including improved soil health and biodiversity. 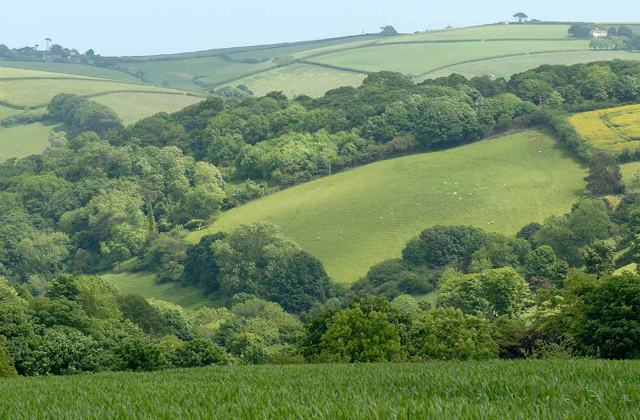 Through the Countryside Stewardship scheme, the government is actively encouraging the development of organic farms in supporting organic conversion and maintenance. Farmers can access funding by applying for the Mid Tier Countryside Stewardship scheme. The deadline for requesting an application pack closes on the 31st May and they must be returned by 31st July 2018. The latest figures have also highlighted an increase in some livestock types organically farmed in the UK. Further information on the Countryside Stewardship scheme can be found here: https://www.gov.uk/government/collections/countryside-stewardship-get-paid-for-environmental-land-management.